Dairy industry : Dairy item preparing must be completed under flawlessly clean conditions so as to maintain a hygienic from any bacterial development amid the procedure. Our excellently manufactured Conveyor System for Food Industry is splendidly fit to these safety purposes. Sea food industry : We are making the impressive value of conveyor systems just right for passing the seafood’s like minced fish, shrimps etc and this are watchfully conserved and conveyed all through the handling procedures. For this industry, our made conveyor systems are very fine to convey without any contaminations in the items. 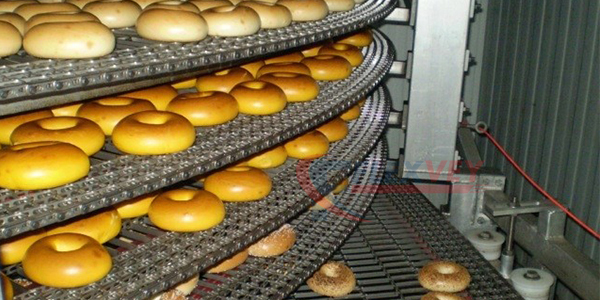 Bakery items industry : Our conveyor systems are correct for use in bakery items making industries of breads & cakes and additionally our conveyor belts are oil resistant so the bakery items are easily conveyed on them without any difficulty. For the packaging procedures of these items, conveyor belts are must to pack them ably and hygienically.